Martin Paul Kenny Dalglish Moone is a twelve year old boy who lives in Boyle, Ireland with his parents and a trio of older sisters. He has many of the same problems as most boys his age – the inevitable confusion of puberty, bullies at school, sibling tiffs. He also has a youthful naivety, a love of drawing and a vivid imagination. This is the premise of Moone Boy, a sitcom I just finished watching this weekend. 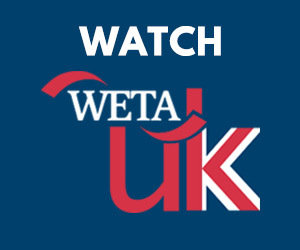 Originally broadcast in the UK on Sky1 last fall, the entire series is currently available in the States on Hulu – new episodes go up every Wednesday, or if you have Hulu Plus, you can stream the full series right now. If you’re a fan of Chris O’Dowd, he is not only the co-writer and co-star but his childhood is the subject of this delightful semi-autobiographical series. If you’re partial to slightly surreal, coming of age comedy, you don’t need my encouragement. You’ve probably already watched it anyway. But if you’re not sure if Moone Boy is for you, allow me to illustrate some if its more unique points. It’s “historically accurate”. Set in 1989, there are several episodes which focus on actual events. One episode features Martin’s mother and her friends campaigning for Mary Robinson, the first female Irish President, incorporating actual news footage of the election. And in an episode which centers around breaking down walls of all sorts, we get to revisit David Hasselhoff, in all his late 80’s glory, at the momentous demolition of the Berlin Wall. The guest appearances are great fun. The Hoff not enough for you? Well, there are a couple of very funny cameos in this series as well. Steve Coogan makes quite an impression as wealthy and smelly fish merchant, Francie “Touchy” Feely. And Jessica Hynes is almost unrecognizable as weight loss instructor Jennifer Bakewell. The music, the fashion…There are a lot of late eighties pop references with a bit of classic hair and clothing thrown in - though the kids wear school uniforms most of the time. But where the era really comes alive is in the generous use of the period’s music…in some very amusing situations. Moone Boy - "I want to be an altar boy"
And did I mention Martin has an imaginary friend? Sean Murphy may look like a grown man in his 30’s, but he’s purely Martin’s creation. Why else would they tend to dress alike? Sean is not wise; he only knows what Martin knows. He’s not even a reflection of Martin’s conscience. Rather he encourages him to be more adventurous, to do things Martin knows might be wrong. In his immature twelve year old mind, I think Sean is who Martin would like to be. More series of Moone Boy have been commissioned so it will be interesting to see what Sean’s role will be in the future. As Martin grows into a teenager, his need for Sean will obviously diminish. Sean may become more a narrator of Martin’s life and less of a participant. I can see it already – on a very special Moone Boy, when teens outgrow their imaginary friends. 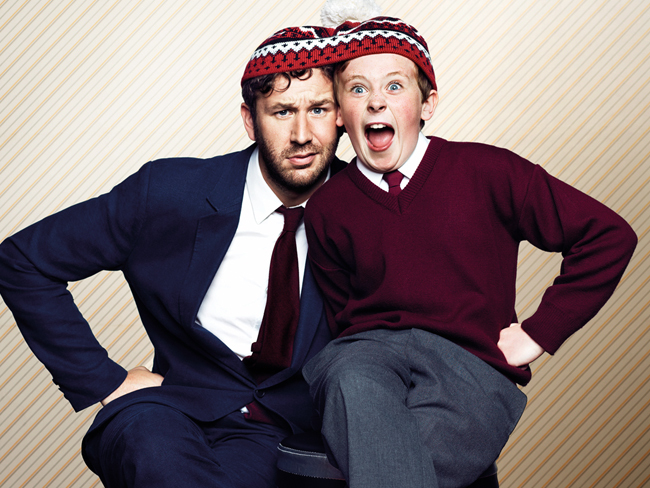 If you’ve watched Moone Boy, please share your thoughts with us. And even if you haven’t, what sort of imaginary friend would you choose to have? "The Frankie Drake Mysteries" is coming to PBS Passport this summer! Our Dated or Delightful series returns with a look at the relationship sitcom, Coupling. Does it retain its edge or has time blunted its relevance?